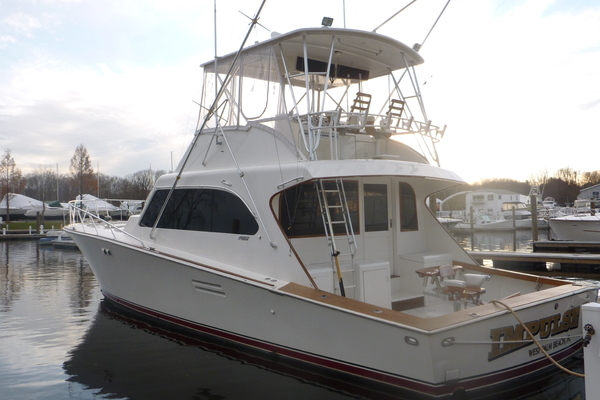 United Yacht Sales New Jersey would love to guide you through a personal showing of this 60' Bertram Convertible 1999. 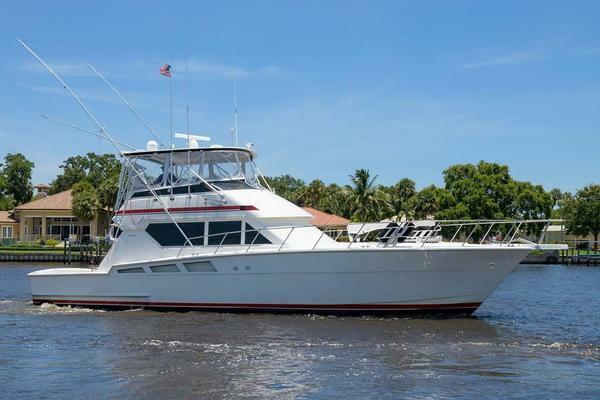 This yacht for sale is located in Unknown, Florida and priced at $629,000. For a showing please contact us by filling out the form on this page and we will get back to you shortly! Salon is immediately aft with exit to cockpit and features a L-shaped sofa to port with stowage below and a custom-made teak table center. To starboard is the entertainment center that has beed replaced in 2017 consisting of a new 43" amsung TV and new Fusion stereo systems and speakers. Satellite TV with two (2) separate heads, directly forward is the cucstom wet bar with Corian countertop, a Scottsman commerical icemaker, and plenty of stowage below the counter. Also has air conditioner, window coverings,and a central vacuum system. All Air-Conditioning (air handlers and condenser units) replaced in 2017. Upholstery and carpet replaced in 2016. Window tinting replaced 2017.